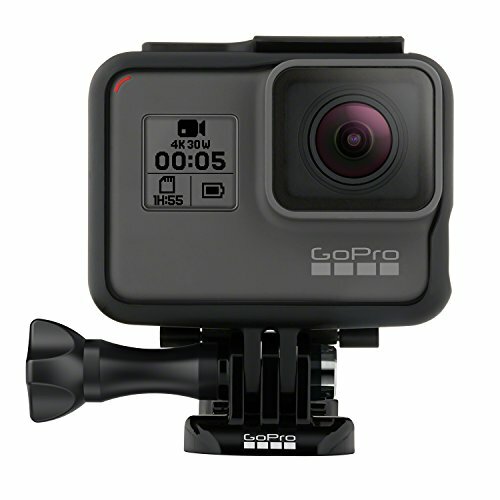 GoPro, the biggest name in action cameras, recently released the 7th generation of their popular Hero series. While the Hero 7 line makes some worthwhile improvements, you might be better off saving a little money by checking out some of their enduringly popular cameras from 2016. We're putting two of the best Hero 5 cameras head-to-head so you can find which GoPro is best for you: the Hero 5 Session vs Hero 5 Black. Hero 5 Session vs Hero 5 Black: Which Is Better? First introduced to the market in October 2016, these cameras remain as go-to choices for GoPro enthusiasts. The Hero 5 Session is oriented more towards quick-and-dirty shooting, while the Hero 5 Black is oriented towards pros and GoPro veterans who want to get the most out of their footage. In this guide, we'll go in-depth on all the features of each camera, allowing you to make an informed purchase for your next GoPro. The Hero 5 Session continues the Session line's commitment to being one of the smallest, most portable, and mountable action cameras on the market, without sacrificing video quality or control. The Hero 5 Session continues the big upgrade of the Hero 4 Session: the waterproof body. The Hero 5 Session can operate safely at depths of up to 33 feet (approx. 10 meters) underwater, straight out of the box. It also has stabilized 4K video and voice control. The Hero 5 Session is a reduced version of the Hero 5 Black, offering a slight downgrade in video quality and lacking some premium features. But it's still a powerful action camera, and depending on your needs, could fulfill all your requirements at a lower price than the Black. Read on to get the details on what makes the Hero 5 Session tick, and to take a side on the Hero 5 Session vs Hero 5 Black debate. The Hero 5 Session is one small camera. The dimensions measure 38 x 38 x 36 mm (1.5 x 1.5 x 1.4 in), making it easy to mount just about anywhere. It weighs a mere 73g (2.6oz), adding to the portability factor. Though both are compact, the Session is smaller than the Hero 5 Black, making it the go-to choice for situations which demand a tight fit. The Hero 5 Session is no slouch when it comes to video, with a 10-megapixel camera. It can capture up to a 4K video at 30fps and features multiple shooting modes, including auto-low light mode, burst mode, night photo and night lapse mode. 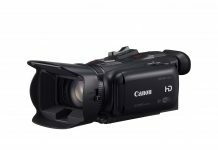 It has a built-in digital image stabilization, ensuring a smooth video every time. It also comes loaded with the option for Protune settings. Protune is geared towards more professional GoPro users who want to color correct their video with editing software, and it allows you to make fine adjustments to things like the white balance, color settings, ISO limit, exposure, and sharpness. 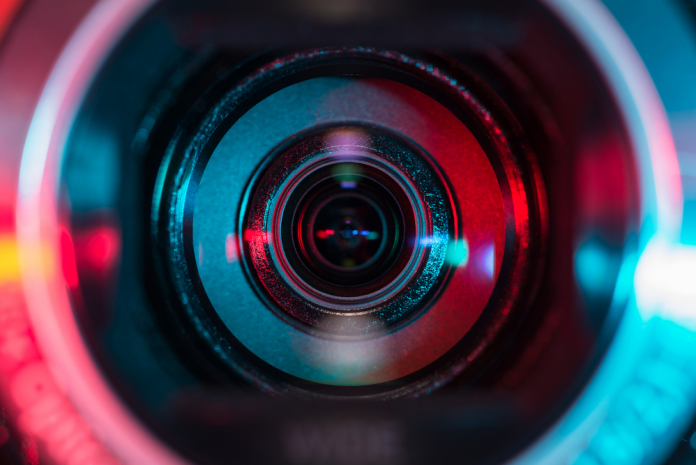 It won't be of much use to beginners who prefer to use auto settings, but it's nice to know it's there for those who want to take their video to the next level. Looking at the two cameras next to each other, the Hero 5 Session vs Hero 5 Black, you can get a sense of the differences in their functionality. The Hero 5 Session is cubic, with a large eye-like lens in its center, and no screen on the back. The Hero 5 Black looks more or less like the classic GoPro we know and love, with a few additions. Lacking the Black's built-in touchscreen, the Hero 5 Session is more stripped-down to the basics, maximizing sleekness and minimizing size. Its lack of a touchscreen could be considered a downside. The Session's tiny LCD at the front, operated by two control buttons, is trickier to get around than the Hero 5 Black's touchscreen and may be intimidating for new users. On the other hand, the Hero 5 Session is Wi-Fi ready, and compatible with the GoPro mobile app, so you can still get real-time video monitoring and playback with the additional step of connecting it to your phone. Whether the touchscreen is a deal-breaker depends on your priorities. For quick and easy shooting, the Hero 5 still gets the job done, and the app gives you the option for easier fine-tuning of settings and playback. The Hero 5 Session also includes voice control, which allows you to control recording easily with a few basic voice controls. At 1000mAh, the Hero 5 Session's lithium-ion rechargeable battery is slightly smaller than the Hero 5 Black's 1220 mAh battery. The Session's battery doesn't have to drain energy on the touchscreen, so they each should last around two hours. If you're using some additional features like Wi-Fi, voice control, and image stabilization, the battery life may be slightly less. Unfortunately, the Hero 5 Session's battery is non-removable, meaning you can only get as far as one full charge will take you. Battery life is not an area that the Hero 5 Session does great in regarding the Hero 5 Session vs Hero 5 Black comparison. For the price of the Hero 5 Session vs Hero 5 Black, it depends on where you look. Upon its release in October 2016, the Hero 5 Session was priced at around $170 to $200, which was $35 less than the Hero 5 Black's $200 to $230 price tag. Since then, the prices for each camera have gone down, and you can also find many used options for the Hero 5 Session at prices ranging between $170 and $200. Depending on if you want an official, new Hero 5 Session, a certified refurbished, or a third-party used Session, your mileage will vary. But in general, the Hero 5 Session remains less expensive than the Black, making it ideal for those trying not to break the bank. The Hero 5 Black is the more expensive, more versatile cousin to the Hero 5 Session. As the flagship of the Hero 5 line, the Black has superior video, a handy touchscreen, and additional premium features that may make it worth the higher price point. Like the Hero 5 Session, the Hero 5 Black has a waterproof body capable of going up to 33 feet (or around 10 meters) underwater. This is a big selling point above the Hero 4 Black, which still had a separate waterproof housing. The Hero 5 Black includes all the same premium features of the Hero 5 Session like 4K video, image stabilization, and voice-activated control, and adds a few additional ones, like GPS. The GPS feature adds location tags to the EXIF metadata of still images and video, giving you the option to place the images on a map or sort by location. Note that the GPS feature drains the battery life. In the comparison of Hero 5 Session vs Hero 5 Black, the Hero 5 Black has a superior audio quality. 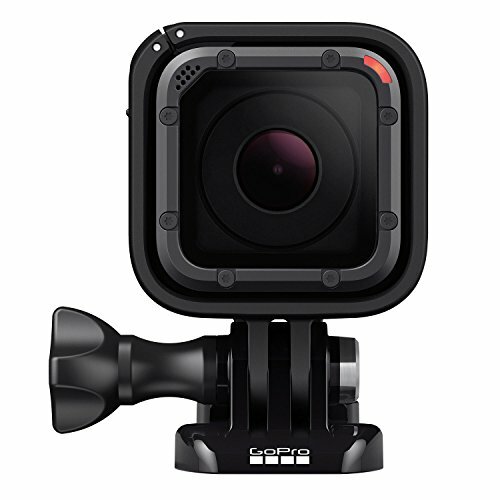 With its rectangular (as opposed to cubed) design, the Hero 5 Black is a bit bigger than the Session. It measures 62 x 44 x 24 mm (2.4 x 1.7 x 1 in); still a compact camera you can mount almost anywhere. It weighs nearly twice as much as the Session, at 118g (4.2 oz). 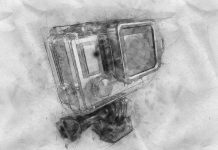 But again, this is still one of the smallest and lightest cameras around, so the slight bulk it adds to the Session's size doesn't add up to much. In the question of Hero 5 Session vs Hero 5 Black, the video is one area where Black has a clear advantage. Like the Hero 5 Session, the Black shoots in 4K, but a larger, 12-megapixel sensor allows for an even greater level of sharpness and detail in the image, and reduced noise in low-light situations. Like the Session, the Hero 5 Black maxes out at the 4K video at 30fps, but it delivers greater options for frame rate flexibility at lower resolutions. For example, the Hero5 Black can record up to 1440p at 80fps and 1080p at up to 120fps. The Hero 5 Session can only do 60fps and 90fps, respectively. 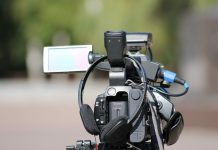 The higher frame rates give you more option for slow-motion video, so if slow-motion is a priority, it might be worth investing in the Black. Further video advantages between the Hero 5 Session vs Hero 5 Black are the Black's ability to shoot 4K in the ultrawide SuperView mode, the additional white balance options, the higher maximum shutter speed, and ISO. This last point, the higher ISO, allows you to shoot in darker situations than the Session. These options are all available in Protune, which gives the Hero 5 Black even more control over videos than the Session. To top it off, the Hero 5 Black has a built-in HDR mode, superior image stabilization, and the ability to output RAW image files, which have the highest amount of detail and fidelity to edit in post-production. All-in-all, the Hero 5 Black trumps the Session in high-end video capabilities, so if you're a professionally minded shooter, it might be worth the extra cash. 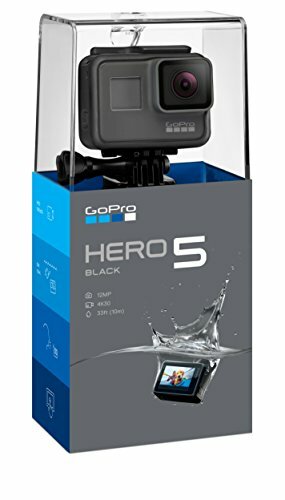 The Hero 5 Black keeps the classic look of the GoPro Hero line, with the addition of the built-in waterproof casing giving it a darker, more streamlined look than its predecessors. The big upgrade in the Hero 5 Black is the addition of the touchscreen on the back. One of the long-running complaints of GoPro cameras was the difficulty of adjusting controls on the small monochromatic LCD panels, which often used abbreviations and nested menus--not to mention the inability to watch your footage as you're filming or immediately after. The Hero 5 Black's touchscreen solves all of this, giving you the ability to check your compositions in real time or replay your footage in crisp, full-color seconds after you shoot it. While the GoPro app, accessible with Wi-Fi, has allowed for these features through a phone connection, it is frankly a game changer to have the functionality built into the body of the camera. The result is one of the biggest upgrades in the history of the GoPro's design, and one of the best editions of the camera available. The touchscreen's one disadvantage is that it eats up more battery than the Hero 5 Session's streamlined design. Luckily, the Hero 5 Black is equipped with a more substantial 1220mAh lithium-ion rechargeable battery. This allows it to go head-to-head with the Session, with a battery life lasting around 2 hours (depending on which features you have turned on). The other advantage of the Hero 5 Black is the ability to remove the battery: this allows you to double, triple, or quadruple the battery life if you bring along extras. For long days of shooting, additional batteries can be a must, so it's another feature that distinguishes the Black as the choice for the more committed shooters. When they were first released in October 2016, the Hero 5 Black was priced at $399, $100 more than the Session's MSRP of about $180. Now, you can find the Hero 5 Black for anywhere from $200 to $230. It depends on whether you're buying new, used, or refurbished, but in general the Hero 5 Black remains slightly more expensive than the Hero 5 Session no matter what condition you buy it in. Whether it's worth the extra price when considering the Hero 5 Session vs Hero 5 Black is up to you. The question of superiority between the Hero 5 Session vs Hero 5 Black is difficult to determine outright; it depends on what you are looking for in your GoPro experience. The Hero 5 Session appeals to GoPro beginners and casual users. Its no-nonsense design, out-of-the-box functionality, and solid video performance will get the job done for anyone who wants to see what the GoPro hype is all about. 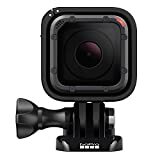 If you just want something to pop on your helmet to record a mountain bike ride, ski slalom, or surf session, the GoPro Session will give you great results. For more experienced videographers who have used GoPros or other action cameras before and want more control over the video settings and post-production opportunities, the Hero 5 Black is the clear winner. 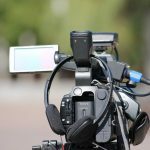 Its video quality is higher overall, and the expanded options give you much more flexibility for all the fine-tuning you can imagine for your footage. The addition of the touchscreen changes the game for convenience and speed, and features like GPS, removable batteries and the waterproof housing make it a significant upgrade over the Hero 4 Black. The question of the Hero 5 Session vs Hero 5 Black isn't so much a question of the cameras as it is the user: casual filmer vs semi-pro or pro videographers. So there you have it, everything you need to know about the Hero 5 Session vs Hero 5 Black. 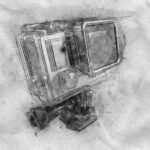 If you're in the market for an older GoPro camera, either of these will do the trick, remaining relevant with their 4K video, waterproof bodies, and other premium features that make GoPros the most trusted name in action cameras. As we've established, the Hero 5 Session is the perfect camera for anyone who wants to get started with GoPro. It's easy to use, inexpensive, and doesn't sacrifice quality; its crisp, colorful 4K video still wows. The Hero 5 Black is better for more advanced users who know what they're doing, and who care to take the time to tinker with advanced video settings or mess around with different frame rates. All of our caveats that it's up to the user's specific needs still stand, but to avoid a cop-out ending, we crowned a winner, anyway. Based on all of its advantages in video quality, and particularly because of the convenience of its touch screen, the Hero 5 Black is overall the better GoPro. The Hero 5 Black gives you the most freedom and control over your footage, unlocking some truly stunning possibilities for action footage. Though the Hero 5 Black is more expensive than the Session, the gap is continually shrinking, and you can find them used for relatively comparable prices. Decide for yourself, but it might be worth investing in the Black even if you're not sure if you want all the extra settings. As your skills and confidence increase, you might be thankful to have the option to explore the advanced options after some practice. In any case, you can't go wrong with either camera, as GoPro continues to deliver the best results on the action camera market. Happy shooting!